Thinking about “Smartcane” – Sugar vs the Reef ? 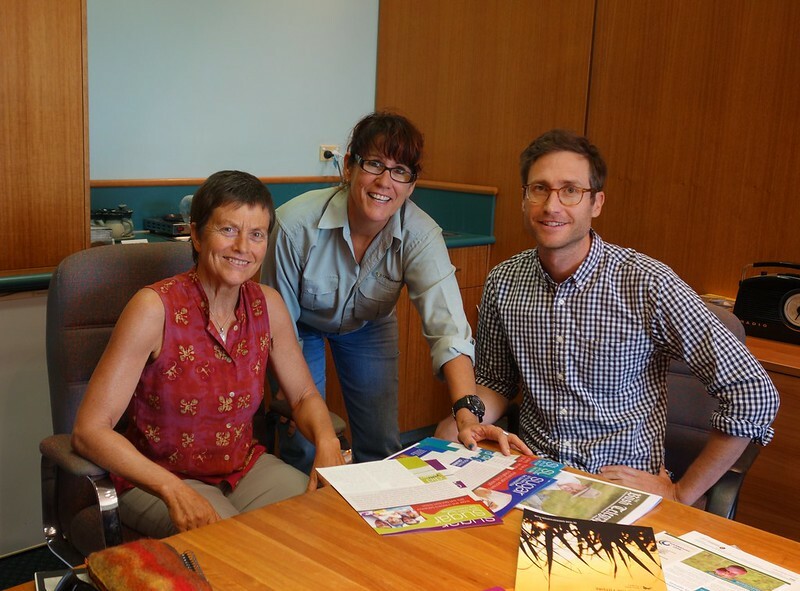 This is a shout out to Sonia Ball from Canegrowers, who we had a fantastic meeting with a few weeks ago. A lot of the difficult thinking in my earlier blog post emerged from our discussion with Sonia, who is the Canegrowers Manager of Communications. Canegrowers is “the principal body representing the state’s sugarcane growers”, advocating on behalf of farmers for a whole range of stuff including safety, marketing, training, human resources admin, etc. It’s not compulsory for farmers to join Canegrowers, but from what I gather a majority find it worthwhile and are paid-up members. Sonia was, justifiably, curious about the motivations behind our project, especially with such a provocative title as Sugar vs the Reef?. At the beginning of our conversation, Sonia expressed concern that the project’s title might cast the sugar cane industry in a bad light, and that it might alienate some people from the very community that we’re wanting to work with. Our point is that the sugar cane industry is already being cast in a bad light in the media, and that the industry won’t gain anything by glossing over that fact. It needs to face this public relations issue front-on. Our goal is to make the discussion more nuanced, rather than to further polarise it. Sonia said that the idea is to help farmers to be “economically sound and sustainable”, which in the future will be a prerequisite for access to an international sugar market which will have minimum sustainability requirements. SmartCane BMP is funded by the Queensland government, and is one of the ways that public money is being spent to improve water quality in the Great Barrier Reef. The Queensland Government has provided funding towards this industry-developed, industry-owned program and said that growers who are engaged will not be the focus of its reef regulations. Cane growers who are not signed up for the industry’s Best Practice Management (BMP) program should expect extra attention from authorities next year. Since that article was published 10 months ago, I’d be curious to know what the follow up has been on this spectre of scrutiny. Perhaps Sonia will be able to chime in? There are some great stories here about the transformations that BMP has already enabled. One of Sonia’s goals as Communications manager is to get good-news messages circulating about the initiatives of sugar cane farmers, and I agree that this is a positive way to boost enthusiasm for improvement in the industry. Threats of top-down scrutiny and “crack-downs” by government agencies do not seem to be effective ways to encourage cultural change. I think the Smartcane BMP program has more to do with sustainability than public relations, but I certainly would not argue that it does help to improve our image, and that is important too. More importantly however, that image has to be credible and Smartcane BMP gives us that. 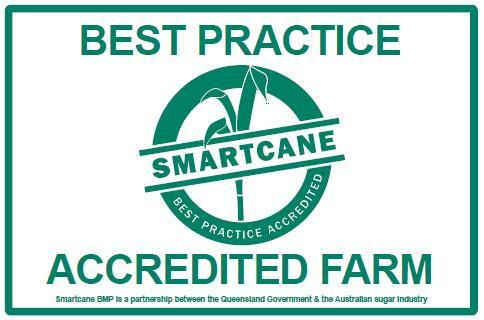 The seven core components to achieve accreditation is just the start – our BMP had to be, and is a program that is world-class, and will continue to evolve and be a part of a cane growers’ business for many years to come. Also, as I am not the authority on our industry BMP program, but rather an enthusiastic believer and supporter, I can only speak for myself in regards to any opinion on where the direction of the global sugar market – supply and demand will come from. My opinion is that in the future markets may demand that sugar (from growing to milling) be BMP accredited (sustainable). Therefore, BMP accreditation – for all of these reasons (sustainability, profitability, future market access and global competitiveness, public relations etc) – is the smart path to take. Registration as you have said is voluntary, and we are ticking away with ever-increasing numbers. Quite simply government is giving the sugar industry an opportunity to grow this BMP standard across all farms using their industry-developed and managed program. Again quite simply, government has said it is prepared to re-activate reef regulations if they believe the take-up to fall short of expectations. We, an organisation representing the majority of growers, are consistently campaigning strongly for voluntary registration, and across all regions we are assisting growers to register and take the first steps towards accreditation. We believe after a slow start, that this is working, but the momentum cannot slow, it must in fact grow. We (I) am confident this will occur. Using a big stick approach has not worked in the past, and I do not believe it will work in the future. Encouraging our Australian farmers to continue to change farming practices can be expensive and time consuming, and it would be timely to mention that Mackay regional cane farmers are not scared to change. When given access to Reef Rescue funding, to help fund improvements, they stepped up and invested significant funds of their own to adapt, or change. This funding helped farmers to cover the costs of equipment and implementation of new practices such as GPS control, soy bean planters, three row wavy coulters, zonal tillage, irrigation, new fertiliser and chemical regimes, controlled traffic and many others. Our farmers are very proud of their industry’s long history of practice changes (and these go back many decades) and they have always taken their responsibility as stewards of the land they farm very seriously. I believe growers understand that the public and governments want to know growers are doing the right thing, and Smartcane BMP will give them this evidence.